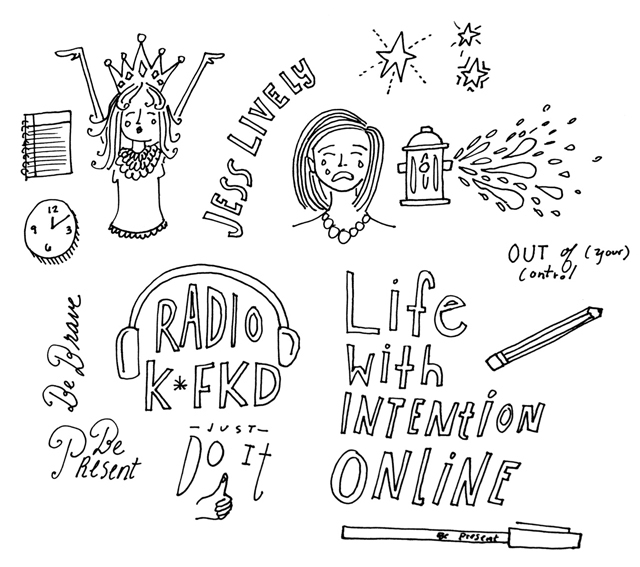 I'm so pumped to be working with Jess Lively on 50+ illustrations for her Life with Intention Online class. If you haven't had the chance to check out her incredible podcast, do so today. The last episode was with Kate Arends of Wit + Delight, where she talks about minimalism, design and mental health. As pumped as I am about this project, I'm really jazzed about how we're doing it. Instead of working remotely, we're stationed in my living room (as seen in Jess' above Instagram). We'll be doing this marathon of drawings using a system similar to the Pomodoro Technique. We'll take a 30 minute break after every 90 minute cycle (taken from The Power of Full Engagement). Perhaps this will be the new standard. Will let you know. Wish us luck! *above picture was taken with the ProScanner app. Recommended by Jessica Hische at the recent Circles Conference. I highly recommend. Well worth the $3.